CAMPAIGNING residents have been left shocked after the Planning Service ruled that Fold Housing’s application to build homes on the former Visteon site does NOT require to be accompanied by an Environmental Statement. 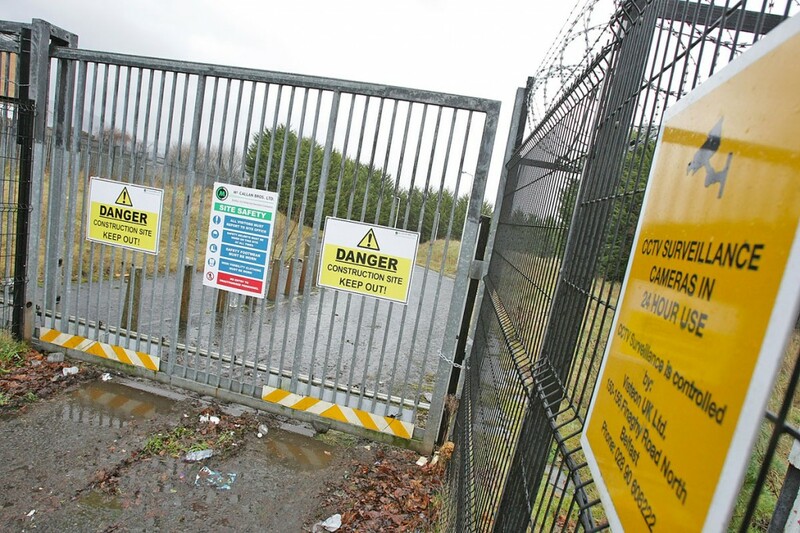 Members of the Economic Regeneration of the Former Visteon Site group told us they were left gobsmacked by the decision, which means that their concerns about the possible existence of toxic waste and its removal at the former manufacturing plant will not now be considered. Speaking to the Andersonstown News on behalf of the campaign team, Aidan Duffy said the ruling out of an Environmental Statement is “a catastrophe waiting to happen”. “What is there to hide here?” he asked. “Why the lack of an Environmental Statement, especially with the heavy manufacturing work that went on at the site for many years? The former Visteon site is extremely contaminated and the volume and wide range of significant human health issues are shocking. The true implications and consequences may not become apparent for years down the line and by that time Fold will be long gone. “If an Environment Statement is not needed then surely residents deserve to see a full page statement stating clearly that the site is safe, that it is safe to build on and this be signed off. “The questions remain and are as simple – would any family feel comfortable making their homes on the site if such risks were not eliminated? Or potentially let their children or grandchildren play in the gardens on the site where toxic chemicals have been identified? Local environmentalist Gerard Daye added that it would be “best practice” for an Environmental Statement to be delivered in relation to the site. A spokesperson for Belfast Area Planning Office said: “Belfast Area Planning Office has determined, in accordance with the Planning (Environmental Impact Assessment) Regul-ations (NI) 2012, that the planning application does not require an Environmental Statement.